In today’s world, your medical history is needed if you want to immigrate to the US. If your documents are in any other language than English then you’ll need to use medical records translation services which would translate and certify your document. Medical records are also needed when you plan to study in the US, or want to get a job in the US. In both cases you’ll need translation of medical records if you’re from a country where English is not the official language. We have a vast experience translating medical records in a wide variety of forms. We translate basic patient medical history, medical documents and clinical data in just about any field, from any language into English. We also give you the fastest turnaround time in New York: in 24 hours or less, you will have the translation in your email. We have a wide range of expert medical translators who have exhaustive experience in producing medical translations. We have a clear and distinguished process for translation and the most advanced innovative techniques. We are one of the most reputable brands in certified translation of medical records. With us, you don’t have to empty your pocket for a translation. We know prices are important to you, and we give you one of the lowest rates in New York. Combined with our 24-hour delivery, our quality and with the fact that we are available around the clock, it will be hard to find a better offer. Get in touch now for any and all your certificate translation needs. Why would you need certified translation of medical records? The pharmaceutical and therapeutic industry has a tremendous need to translate their products documentation in various languages. 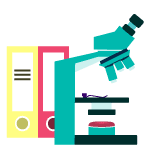 From labels to drug descriptions, they require fast and effective translation of their documents into the target language in limited periods of time as medical advances become more and more frequent. Due to this reason, there is and will always be a continuous need for high quality translation services. Similar to that, you will also need certified translation for medical records, if yours aren’t in English. The immigration office or your future employer need to know about your medical condition, and there is no way for them to understand it if it is in Chinese for instance. Certified Translation respects the significance and receptive requirement of one’s medical translation. We give you a certification that will authenticate the fact that the translation is done by a medical translator and is a true representation of the original. For all your medical translation service’s needs, Certified Translation is at your disposal 24/7. 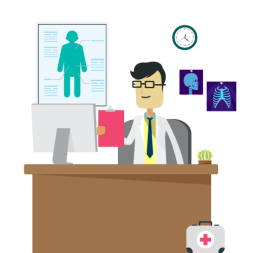 Why medical records translation services are important? We are a certified translation company in New York which provides medical records translation services from over 80 languages into English, which means we will always have at least 2 linguists with a medical background for any language. Along with your translation, we also maintain a continuously updated glossary to make sure that medical terminology remains covered. In order for you to be able to use the translation, we certify all translations. Notarized translation is also available if needed. Personal Medical Records are tricky when it comes to translation as the slightest mistake can have serious consequences. An accurate translation is essential in this field as depending on that, appropriate medical care may be provided to the client. Certified Translation is actively using verification mechanisms for all the translations that it has produced, like having a second translator verify the translation before we certify it. We guarantee not only accuracy of our translations, but also full confidentiality of your documents. The language diversity is a significant factor when you are looking for translation of medical records. 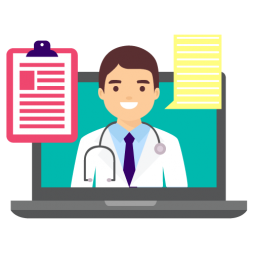 The medical records can be presented from anywhere from around the world, and you will need a native speaker of that language to translate for you. The translation will need to be professional, and you will require a translator who has strong medical know-how. The problem is that finding a translation agency that can provide medically informed translators for diverse and far off languages from around the world is an arduous task. The way you will find a translator who will be able to provide credible and verifiable translation is an essential factor. Credibility is not just advised but is considered a pre-requisite when it comes to translation of medical records. Doctors understand fully well the need for serious scrutiny of the translator who has translated. The translator needs to have a medical background so that he or she knows what they are translating. The translation has to be reviewed by another medical linguist who can verify that the output is accurate. We all know that a single error in the report can put the patient in danger. These are the reasons we have high quality and extremely credible translators at our disposal who will translate with the most responsible approach. We are highly qualified and reliable translators who conduct our business with utmost responsibility and seriousness. Certified Translation has been translating for years now and we are well-known in the industry when it comes to translation of medical records, or any other documents. When you move or travel overseas, you’ll need some or all of your medical records translated for your new doctor. A correct translation of your medical records is critical and must be committed to a reputable source. Our deep experience with medical translations will be valuable to you during this process. Our certified translators have successfully translated thousands of medical records. 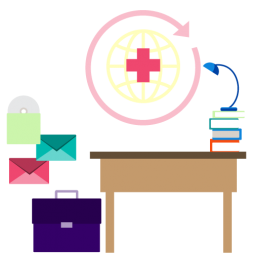 No matter which language you need your medical records translated to or from, Certified Translation is the best place for an accurate translation delivered fast and affordable. 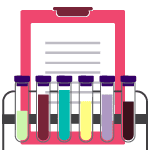 To provide you with the highest quality medical translations we only hire skillful translators who are either doctors or people having a deep attachment with this niche, having experience in various particular medical documents and possessing language degrees. Our medical translators are highly scrutinized and quality controlled. No matter what type of medical records you have and what languages you want them translated into, we can help. If you need a certified translation of medical records for official purposes, we can provide you with a certified translation. Make contact with our team, and we’ll offer you the medical report translations on time, even if it means working around the clock. 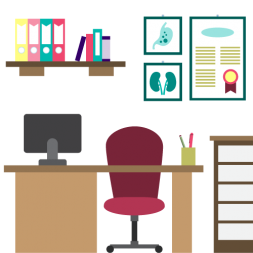 Medical records translation services are a very specific trade with very peculiar requirements in terms of translation capabilities. The translator is required to have astute knowledge in the field of medicine. The translators we employ have a very strong background in medical translation and are well trained to provide accurate translations. They are also native speakers of the target language and are near-natives of your source language, along with a compatible educational background. We have medical translators with at least a decade of experience. Get in touch at anytime to ask for your free quote!